than beer brewed ten feet from your table. than every dressing, every stock, every sauce made from scratch. 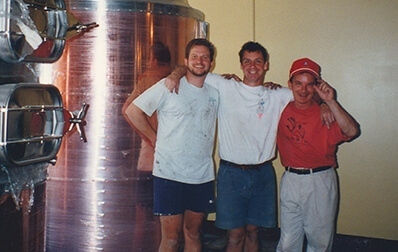 than letting our craft beers and handcrafted foods inspire one another in unexpected ways. we’re not in it for the fame or the glory. We’re in it because we love what we do. Getting creative in the kitchen. And integrating our passion from tap to table. We’re more than a scratch kitchen. We’re more than a craft brewery. 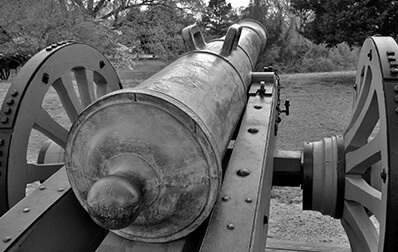 During the Revolutionary War, a fierce battle is fought atop Iron Hill, outside of Newark, Delaware. Soldiers fight for life, liberty, and the pursuit of happiness – unaware that in more than 200 years, a group of Delaware locals will exercise that right to pursue happiness by opening a brewery right down the road. They will name it Iron Hill in honor of what the soldiers fought for. 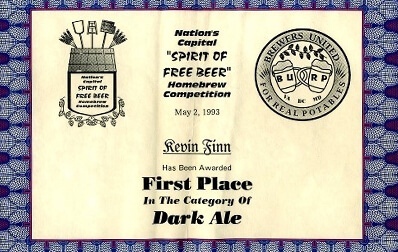 Kevin Finn, one of those Delaware locals, receives a homebrewing kit from his wife for his birthday. What starts as a hobby soon becomes a passion. His friend, Mark Edelson, takes an interest and begins brewing with him. Soon, they decide to enter their beers in competitions. Surprising even themselves, they start bringing home some impressive awards. The duo begins to wonder, “Could we do this for a living?” Lucky for them, a friend introduces them to Kevin Davies, an experienced restaurant professional. It only takes a few conversations to decide that together they could open an innovative brewery and restaurant concept. It’s time to take the brewing out of Kevin’s basement! On November 14th, Iron Hill officially pours its first beer and serves its first dish at 147 E Main St in Newark, Delaware. In September, the team decides to swing for the fences. At less than a year old, Iron Hill enters the American Brewer’s Association’s Great American Beer Festival (GABF), the industry’s premiere competition. Newcomers to the scene, they take the crowd and critics by surprise when their Lodestone Lager wins a gold medal. It is the first of many. The trio decides to open a second location in West Chester, PA. 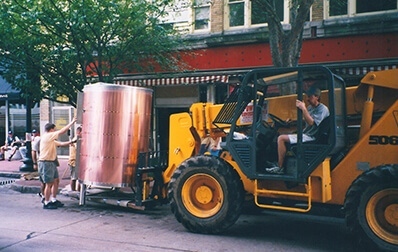 They determined, quite boldly, that it, and every future location, would have an on-site brewery. They wanted to guarantee the same quality, freshness, and innovation that had made their first location so successful. Opening day arrives, and the annual West Chester Restaurant Festival is going on right outside. The crowd is so large that they must close for the next few days just to regain inventory and catch their breath. A pediatric oncologist (M.D. ), Mark Edelson’s wife, Maureen, suggests partnering with CureSearch for Children’s Cancer. Inspired by his wife’s passion for her patients, Mark speaks with both Kevin Finn and Kevin Davies about pursuing a charitable endeavor. 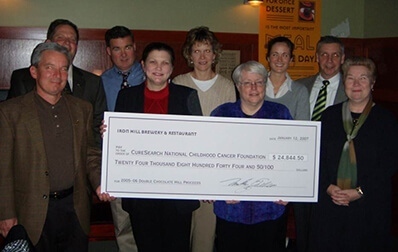 On September 14, 2004, the team announces the Triple Chocolate Hill campaign, vowing to donate a portion of every Triple Chocolate Hill dessert sale to the organization. The team decides to up the ante and take their beers to an even bigger stage than the Great American Beer Festival. 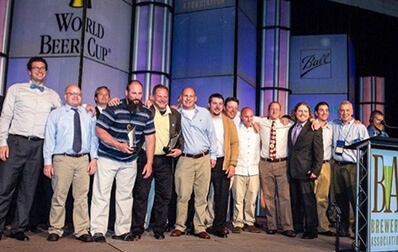 In May of 2010 they attend the World Beer Cup, the largest global beer judging event. 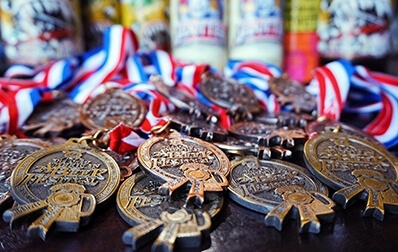 Already excited about the impressive number of medals they have won over the duration of the conference, they are overwhelmed to hear their name called as the world’s “Best Brewpub”. They go on to win again in 2014 and finish as a runner-up in 2016 only by a tie-breaker. Just in time for their official 20-year celebration, the team brings back a medal from the Great American Beer Festival. 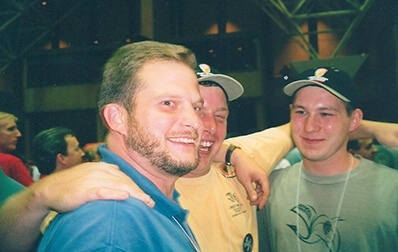 It is, serendipitously, their 20th consecutive year bringing home a GABF award. 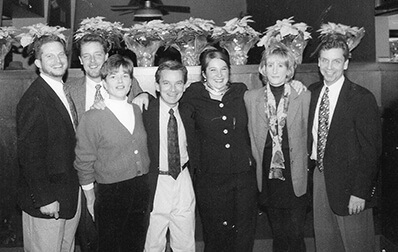 With years’ worth of awards close by, they celebrate the monumental anniversary with a company-wide toast on November 14th. Iron Hill Brewery & Restaurant © 2019 Iron Hill Brewery & Restaurant.